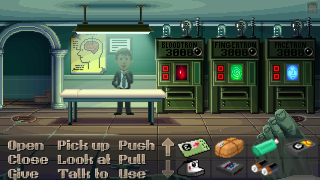 The language of video games is baked into the soul of Thimbleweed park. Whether it's that video game designer subplot, or referring to a decomposing corpse, the game is proud of what it is – a traditional video game. If you're looking to get your PC fix, check out our guide to the best PC games.